This unusual furniture item from the mind of Gabriella Asztalos is a winner of the ICFF Design Award, the Singapore Furniture Design Award and the A-Design Award. The designer chair is called “The Hug Chair“, and it’s the perfect piece of furniture for couples. 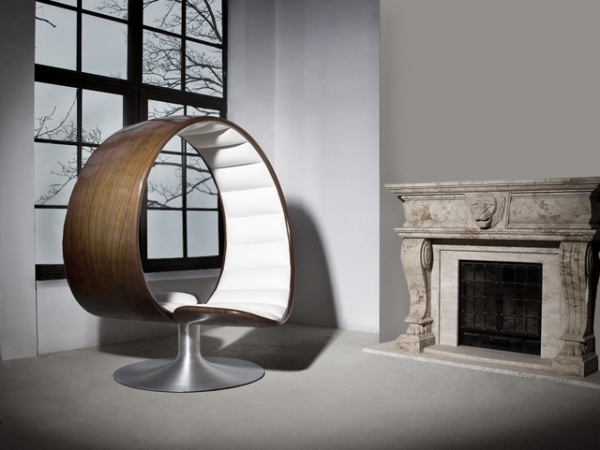 The shape of the chair provides the ability to relax with your loved one face to face. If you want to have a quiet conversation or if you want to spend some quality time with your partner or family, this is the perfect chair to do it in. The chair also allows you to enjoy individual activities with your loved ones. If you want to listen to music or read a book, but still want to be together, this outstanding piece of furniture is a great solution. It is in the shape of an open circle. The two ends sit adjacent to each other, creating the seats. 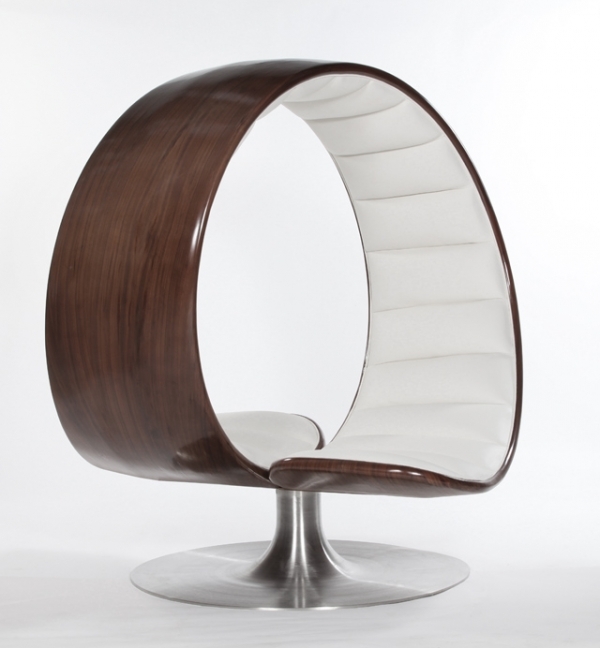 We love the continuous curves in this attractive chair, it highlights and amplifies the sense of flow and connection. A silver column extends down from the bottom of the designer chair and expands into another circle that provides stability and support. The dark wooden exterior is sublime, and it perfectly sits in opposition to the bright white interior. 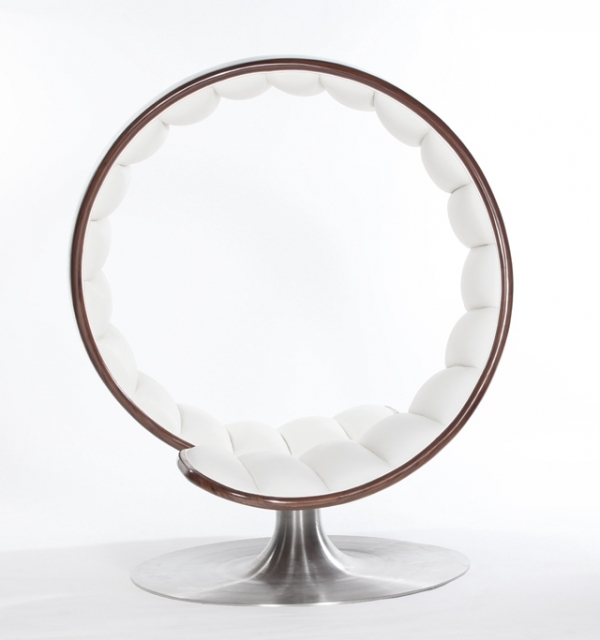 The entire interior is beautifully cushioned, with striking lines that magnificently contrast the circular shape. This is definitely a statement piece! It instantly catches the eye, with its unique shape and splendid color. We love the way it looks next to this ornate fireplace. The two designs complement and contrast each other perfectly. If you’re looking for a way to add a bit of creativity and personality to your home, or if you want a space where you and your loved ones can spend some time together, we think this lovely piece of furniture is a good option.